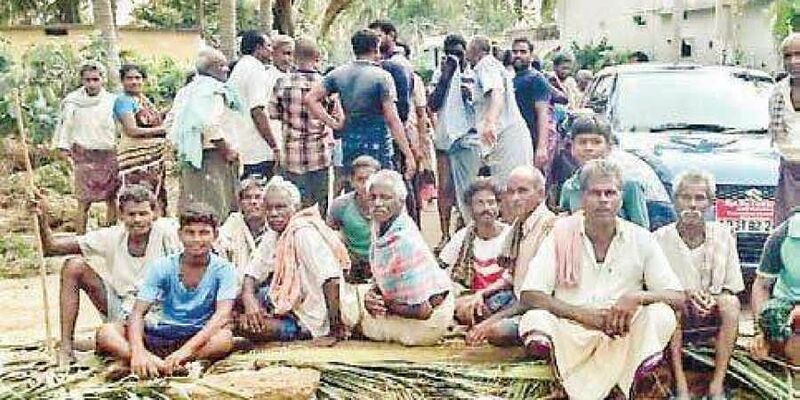 VIJAYAWADA: Putting the total loss caused by Titli at `2,800 crore, Chief Minister N Chandrababu Naidu on Saturday dashed off a letter to Prime Minister Narendra Modi to release an interim relief of `1,200 crore immediately for relief and rehabilitation measures in the cyclone-hit Srikakulam and Vizianagaram districts. In his letter, Naidu stated that Titli had caused a huge damage to properties, agriculture and horticulture crops and infrastructure in the two districts, leaving lakhs of people in distress. Naidu, who has been camping in Srikakulam since October 11 night, urged the Centre to liberally and expeditiously sanction the relief so as to minimise the suffering of the cyclone affected people. Meanwhile, AP Resident Commissioner at New Delhi, Praveen Prakash, submitted a report on cyclone loss to Debashree Mukherjee, Joint Secretary to Prime Minister Modi. Srikakulam: Chief Minister N Chandrababu Naidu on Saturday directed the officials to arrange generators to operate the primary heath centres in the cyclone-affected areas. Naidu on Saturday visited Kojjiriya, Kaviti, Kamba, Sompeta, Rajapuram, Borraputtuga, Rattakanna and Ichchapuram to monitor the relief operations. The Chief Minister also assured the people that he would stay put in the cyclone affected Uddanam region till the normalcy was restored.